and discounted, fill dates are available through 2019. ALBERTA BALLET Inspired by films such as Mad Max and Blade Runner, Alberta Ballet premieres All of Us in May, featuring the music of The Tragically Hip. They premiere The Sleeping Beauty in October, with a twist, basing the tale in the Canadian Rockies. 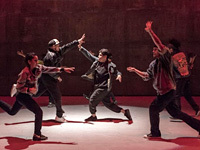 ANTICS Sneaker Suites is at St. Ambrose University in Davenport, IA during a 2 week residency for Quad City Arts from January 28th - February 8th 2019. Block dates are available! See the show at Grand Park in LA, April 28/29. ATE9 calling glenn with live music by Wilco's Glenn Kotche has block avails in October/November 2018, and February/March 2019. Commissioners and a premiere venue are being sought for "FISHING", a new creation with Glenn Kotche, John Hamm, and Danielle Agami, premiere can be as early as December 2018. Danielle premieres her first ever solo work, Framed, on May 6 in New York, and then takes it to Performance Works Northwest in Portland, OR on May 18. 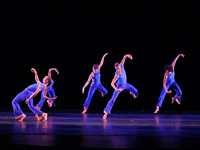 EZRALOW DANCE had fab shows at UT Austin and The Chutzpah! Festival, and has deep discounts late March and early April 2019, especially in AZ, CO and TX. 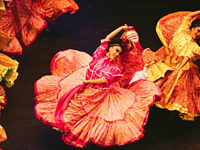 GARTH FAGAN DANCE is booking now through 2021! Block dates in the East Coast are available this summer still, and in January 2019. "Unfailingly Original!" - The New York Times. PACIFICO DANCE is looking for dates in the West Coast in September and November, 2019! They will be performing for the ASU Gammage Student Series and returning to the McCallum for a fourth visit in 2018. RIRIE-WOODBURY DANCE COMPANY toured to Lubbock, TX last week after a whirlwind European tour. 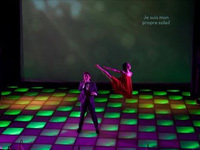 They premiere new work by Artistic Director, Daniel Charon April 26 - Saturday, April 28, in Salt Lake City. Block dates are sought for Ann Carlson's Elizabeth, the dance in February/March 2019. 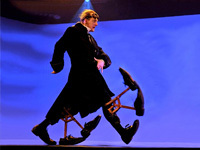 Their Bi-Lingual family show, Elements/Elementos is now available for touring. SARAH ELGART | ARROGANT ELBOW are excited to announce a busy August on the East Coast. First up, SE | AE will be at INSITU Site-Specific Festival at the iconic Pepsi Sign at Gantry Plaza August 4 and 5th and then SE | AE travels to Jacob's Pillow where they will premiere Shape of Memory. ANAIS, A DANCE OPERA Anais opened the International Theatre Festival in Casablanca, Morocco and performed at La Nouvelle Eve, a vintage cabaret, in Paris, last month. The Casablanca audience erupted in spontaneous applause and standing ovations when the vocalist, as Eternal Anaïs, sang "a woman should be free as a man." 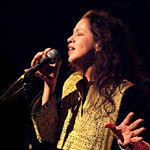 SO NOW YOU KNOW Now available for performances,community and special events. 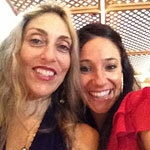 Professionals and community members interact with storytelling, movement and dance. Tales of love, childhood, family, birth and death. Poignant, and hilarious. TOMÁŠ KUBÍNEK is packing his solo-show for upcoming tours in Switzerland, Italy, Belgium and North America. We are seeking block dates in February and April, 2019. A new collaboration is coming with Rialto Center for the Arts in Atlanta, and a huge outdoor-extravaganza has been commissioned by Hancher Auditorium. 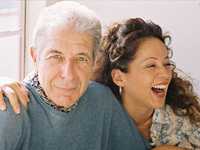 PERLA BATALLA IN THE HOUSE OF COHEN Perla's tribute to her friend and mentor, Leonard Cohen, has block dates still available in early August 2018 in Canada and the East Coast, and is touring every month. 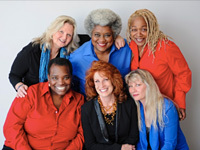 FLYAWAY PRODUCTIONS Seeking presenters to be part of a consortium, funding application for NDP funded The Wait Room (2019), a content driven outdoor performance that honors the experience of women with incarcerated loved ones. 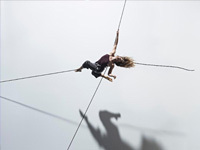 Also, in partnership with the Tenderloin Museum, they premiere TENDER (n.): A PERSON WHO TAKES CHARGE, a site-specific aerial dance celebrating 100 years of "outcast activism",running June 7-16 at the Cadillac Hotel in SF. Flyaway was just awarded an IZZY for ensemble performance for Grace and Delia are Gone (2016). OTTO & ASTRID/DIE ROTEN PUNKTE "Louder than the White Stripes, more dysfunctional than Metallica and funnier than Flight of the Conchords!" The Irish Times. 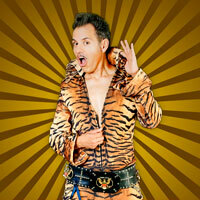 As part of their 40th anniversary, Circus Oz has teamed up with multi-award winning musical comedy duo Otto & Astrid (Die Roten Punkte) to create a brand new, hilarious rock'n'roll extravaganza, Rock Bang! 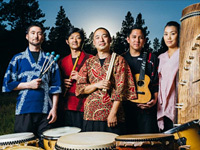 ON ENSEMBLE is organizing a free outdoor taiko festival with the City of Santa Monica in May, and beginning a new album! Fall 2018 and Spring 2019 blocks exist! Discounted avails in January and March 2019 in the west. SASHA'S BLOC Fueled by bassist Alex Gershman, this collective delivers a sound that is consistently big, boisterous, full of spirit, and rich in everything JAZZ. Available beginning September 2018. VAL VIGODA's live-looping, solo show, "Just Getting Good" is available now through 2019. 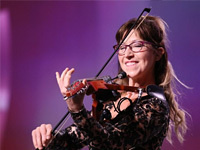 Val is an acclaimed electric violinist/singer/songwriter, Off-Broadway star, and powerful musical-keynote speaker on the topic of Peak Aliveness. Presenters can have her come in speak and do her show to boot. She also does school shows! 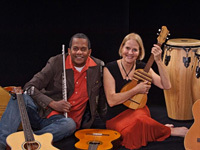 CALLE SUR Calle Sur is in the process of recording its newest production, "A Concert of Hispanic Tales", which contains six traditional folk tales with an original soundtrack by Calle Sure, and with regionally relevant songs recorded in between stories. The stories are from Paraguay, Brazil, Costa Rica, Mexico, Cuba, and the State of New Mexico. AMERICAS3 A3 is available for national and international touring starting in the fall of 2018. This exciting musical/theatrical production in seven languages looks at how migration, suffering, work, love, sense of place, and celebration are expressed in time and space throughout the Americas. Deep discounts in the west for late August/early September 2018, especially in Nevada and California.